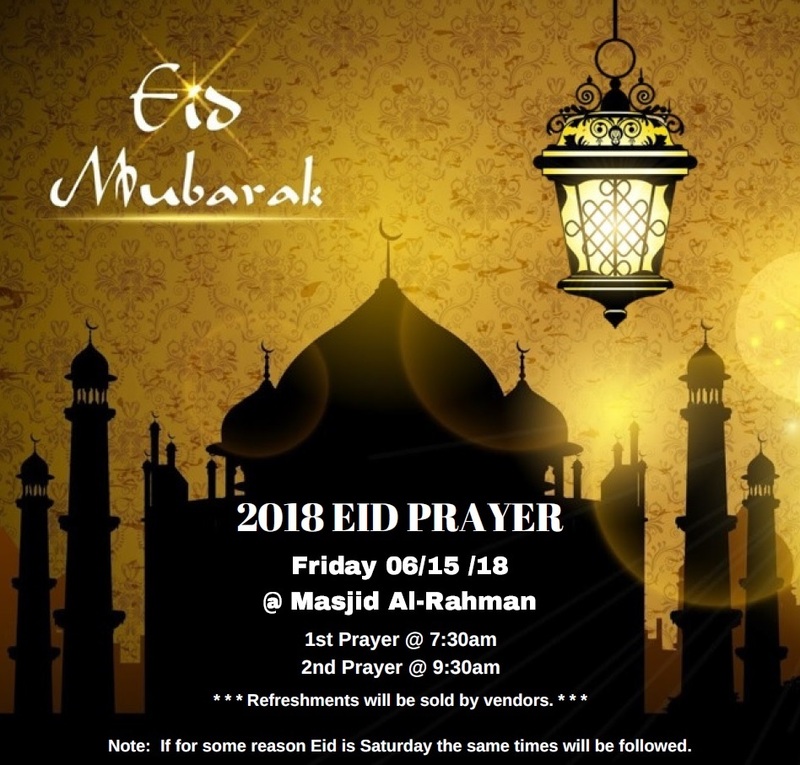 The 2018 Eid Prayer, will be Friday June 15 at Masjid Al Rahaman. There will be two prayer time slots of 7:30am and 9:30am. Along with the water and dates that will be provided; there will also be small refreshments sold by vendors. Note: If for some reason Eid is Saturday, the same times and arrangements will be followed. 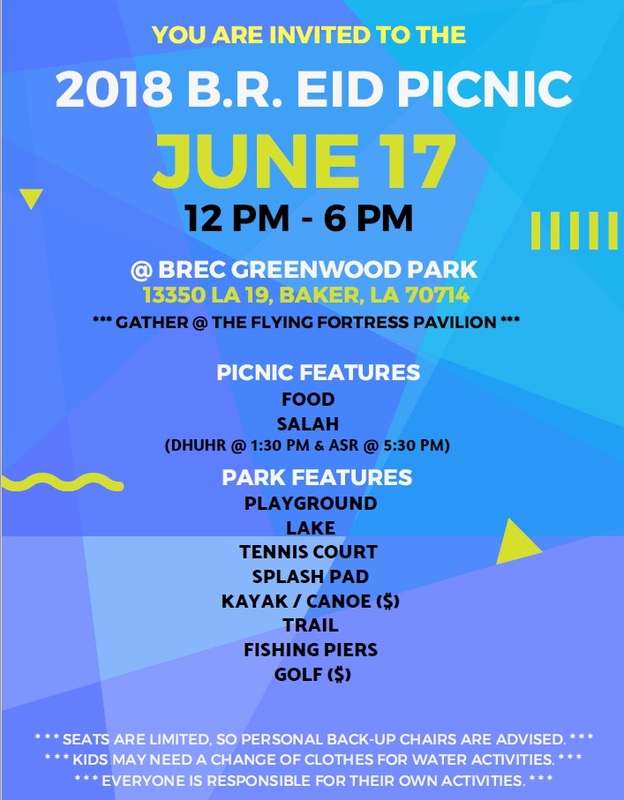 The 2018 Eid Picnic, will be held Sunday June 17th from 12pm – 6pm at BREC’s Greenwood Park in Baker, LA. All Muslims of Baton Rouge are welcomed. 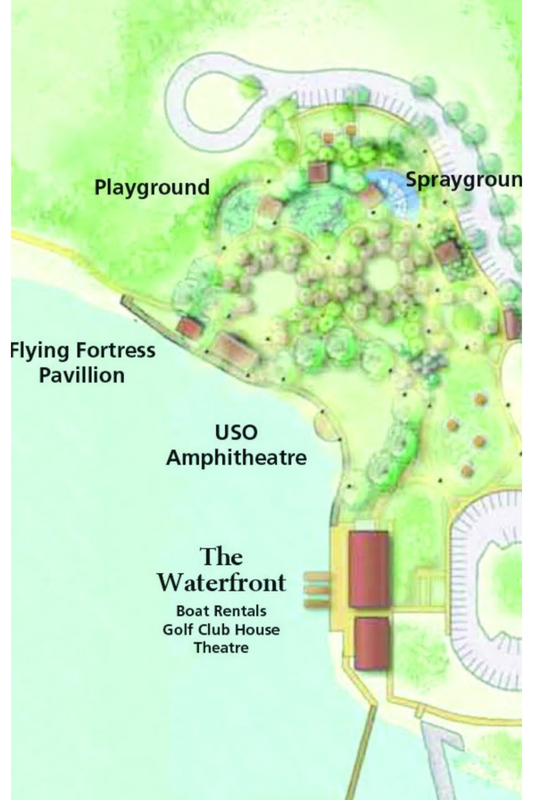 We will be positioned at the Flying Fortress Pavilion. We will pray Dhurh at 1:30pm and Asr at 5:30pm. Please be advised that there are limited number of seats in the pavilion so it is highly suggested that you bring your own lounging chairs. Please remember to bring a change of clothes if you or your kids are planning to engage in water activities. Please donate generously so that the board can cover electricity, utility, and other expenses. To receive janazah notifications, community gatherings and other announcements to your mobile device, please text @icbrnews to 81010. Please visit our events and FAQ pages before sending an email at icbrsocial@gmail.com. © 2019 Islamic Center of Baton Rouge. Subscribe to news from the community.